Family business run by Salvador and his wife Conxita, between the two of them are taking care of the vines and the winery. The winemaker is Toni Coca who has expertise working in different wineries within the Priorat, always following the organic viticulture. Celler Burgos Porta is located in the small valley of Poboleda, in the heart of Priorat. Dedicated to viticulture since 19th century, first organic wine released in 2003. All the vineyards are treated with organically and controlled by CCPAE (Catalan Council of Agrarian Ecological Production). Mas Sinén is the name of the cellar and it is surrounded from the old vines planted in 1950’s. 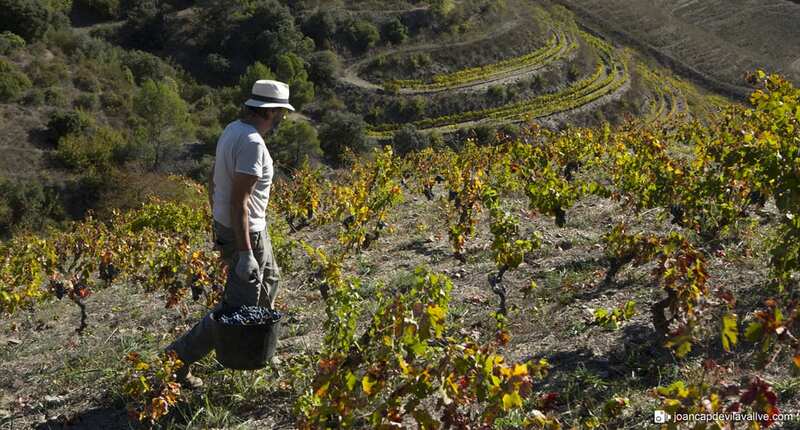 Priorat has the particular soil called Llicorella, the oldest that can be found in Catalonia. Thanks to Llicorella’s minerality the wines are complex, elegant and fresh. Priorat itself, has the biggest reputation within the fines wines in Spain.